Kohli was named as the captain of both ICC Test Team of the Year 2017 and ICC Test Team of the Year 2017 with Cheteshwar Pujara, R Ashwin in Tests and Rohit Sharma, Jasprit Bumrah in ODIs being the other Indians. 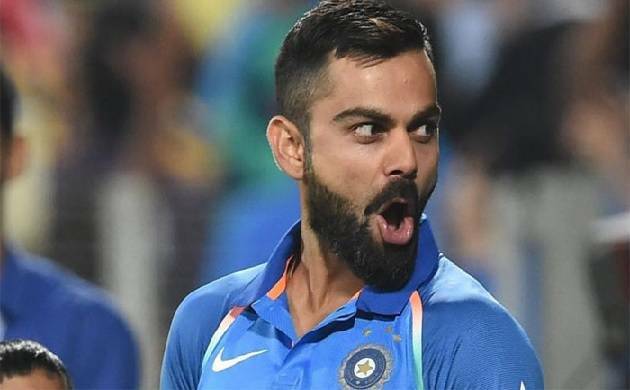 Indian skipper Virat Kohli on Thursday bagged the prestigious Sir Garfield Sobers Trophy for being the ICC ODI cricketer and captain of the year award, International Cricket Council said. Apart from Kohli, Australian captain Steven Smith who had a superb 2017 with the bat was named as ICC Test cricket of the year. Kohli was named as the captain of both ICC Test Team of the Year 2017 and ICC ODI Team of the Year 2017. Apart from Kohli Cheteshwar Pujara, R Ashwin in Tests and Rohit Sharma, Jasprit Bumrah in ODIs are the other Indians selected in ICC team of the year. Pakistan Cricketer Hasan Ali was awarded for his wonderful performance in 2017 and named ICC's Emerging Player of the Year. Afgghanistan's start cricketer Rashid Khan took home the ICC Associate Cricketer of the Year silverware. the green brigade Pakistan also got the ICC Fans' Moment of the Year award for winning the Champions Trophy in England by defeating India. ICC Test Team of the Year 2017: Dean Elgar, David Warner, Virat Kohli (c), Steve Smith, Cheteshwar Pujara, Ben Stokes, Quinton de Kock (wk), R Ashwin, Mitchell Starc, Kagiso Rabada, James Anderson. ICC ODI Team of the Year 2017: David Warner, Rohit Sharma, Virat Kohli (c), Babar Azam, AB de Villiers, Quinton de Kock (wk), Ben Stokes, Trent Boult, Hasan Ali, Rashid Khan, Jasprit Bumrah.